We’re excited to share with all Zooniverse volunteer colleagues a paper that has just been published in the scientific journal Methods in Ecology and Evolution. 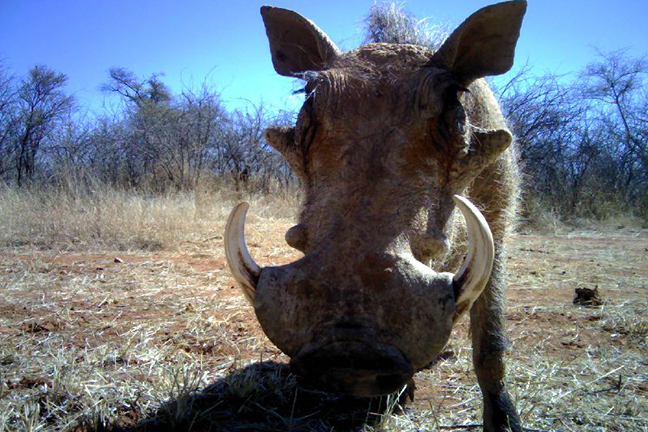 There are many really cool things about this paper – for starters, the awesome picture of the warthog above captured by the Camera CATalogue project. But here’s the gist. As many of you will have experienced, we have blown the top off the total number of camera trap projects hosted on Zooniverse (nearly 50!). This means that the amount of images coming in has increased tremendously and our collective ability to give the research teams timely results is in peril. So one of the things we’ve been working on is figuring out a way for computers to help bear the load of all that data and sort through some of the easy stuff quickly. This paper (https://doi.org/10.1111/2041-210X.13099) shows how we were able to implement and test machine learning in multiple ways with four different camera trap projects – Snapshot Serengeti, Camera CATalogue, Elephant Expedition and Snapshot Wisconsin. The first test we did was to use the vast amounts of Snapshot Serengeti data, where we were able to train a machine model that could then be applied to the other three projects with only a little bit of additional training, even if projects were as different as Snapshot Serengeti (wildebeests!) and Snapshot Wisconsin (deer!). This is great news as it means in future, smaller camera trap projects won’t have to wait for most of their data to be classified before they can train a machine model. But we don’t just want to take the machine’s word for what it thinks is the right classification answer – after all, the machines are still not as good as our volunteers. The second test we did was to see how we could best use the machine results in combination with your classifications. So we ran an experiment on the Camera CATalogue project with images from South Africa trying out ways for volunteers (you!) to validate what the machine thinks. We were able to quickly retire images from the site if one volunteer opinion agreed with the machine’s opinion. If the volunteer didn’t agree with the machine, a second volunteer was asked. We also used the Zooniverse mobile app to allow people to quickly register agreement – swipe left – or disagreement – swipe right – with the machine. We ran this set-up with the machine opinions included in the last quarter of 2017. The results were amazing. Together, we were able to speed up by 43% the process of identifying images with vehicles or just vegetation and let you get to the more interesting stuff faster. All of this was done by a student, Marco Willi, in the University of Minnesota’s Data Science Master’s program – the lead author of the paper. And that’s just one more cool thing about this paper. Thanks to all this, we are now working on ways to implement this type of process in many of our camera trap projects. We strongly believe that the best way forward in tackling the huge amounts of data that we’re seeing come on to the Zooniverse is through the judicious combination of volunteer and machine effort. And as a part of that, we strongly believe that you, our volunteers, must be kept informed at each point along that path and we will certainly keep you posted on any projects that have machine learning associated them. Previous Previous post: More Planets to be Found on Planet Hunters TESS!